Initial setup is quick and easy. Simple touch screen selections get you up and running in minutes Self-tuning** After startup the ECU immediately takes over and provides your vehicle with an optimum tune! Basic install can be done with just 4 wires and 2 sensors to install Uses the latest Bosch 4.2 wide band O2 sensor while all other sensors are easily replaceable GM style parts. Ignition timing can be controlled and adjusted on the fly from your touch screen controller. Air Fuel ratios can also be optimized on the fly as you drive. Try that with your Carb! Manufactured with OE engineering. 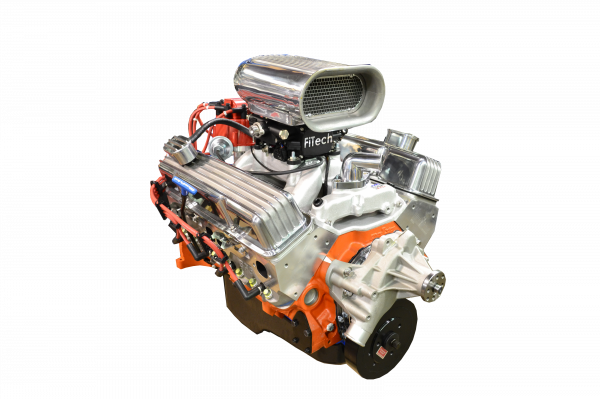 FiTech ECU's are used Globally and pass euro 5 emissions standards in new vehicles. 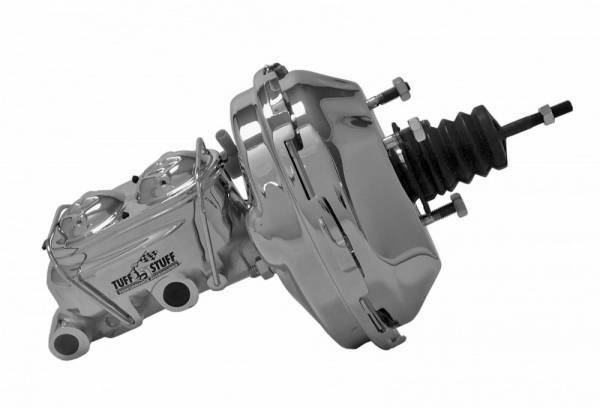 • Throttle linkage accepts most original accelerator cables & linkage and suits most transmissions kick-down cables. • No special distributor is required for Spark/Timing control when distributor's advance mechanism is locked and inoperative. 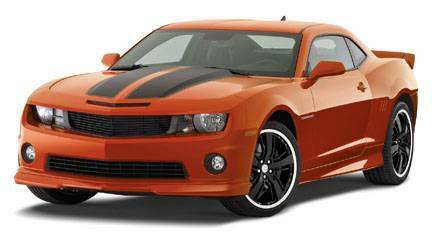 • ECU is mounted on the throttle body, No hole in your firewall and no unsightly harness draped across your engine. 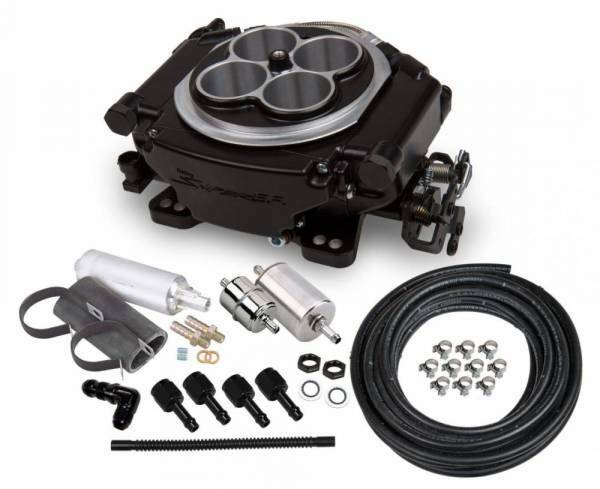 • Throttle body has a built-in fuel pressure regulator. • Choice of three fuel inlet connections. • (4) Hi-Flow 600 HP injectors with wet flow technology that have a unique Swirl Spray Annular discharge design that assures COMPLETE ATOMIZATION!! • ECU features Voltage Control fuel pump control. This feature reduces the voltage to the pump under low load conditions such as idle and cruise thus reducing noise and heat. • 1 adjustable ECU controlled electric cooling fan control switch. • Includes O2 sensor and clamp-on style bung flange, no welding required. Just drill a 7/8” hole in your desired location with a step bit. Then clamp on the O2 sensor bung flange and screw in O2 sensor. 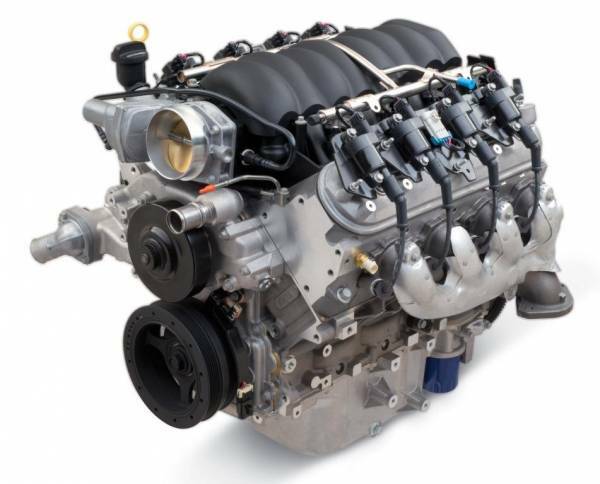 • Includes ECU temperature sensor and the most commonly needed reducers. • Hand-held controller features a touch screen for quick and easy initial set-up. The HyperFuel Single Pump G-Surge Tank is designed to be used in vehicles that have fuel starvation issues when being used in extreme lateral G environments. Typically this is due to poor fuel tank baffling in the existing fuel tank. The pump in the G-Surge never gets uncovered because it receives a steady supply of fuel from your existing fuel system as well as the fuel returning from the fuel injection system. Since the G-surge is constantly circulating fuel your fuel pumps stay cooler and have a longer life. The G-surge is the best way to provide the necessary increase in volume when adding a power adder such as boost or nitrous to your engine.